Vertical transportation accidents involve elevators, escalators and lifts. Elevator and escalator accident cases tend to be very complex, but have been successful in all jurisdictions across the country. The key is to hire an experienced lawyer who has handled elevator accident cases. 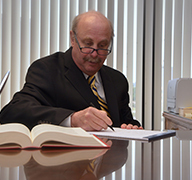 Michael Hohauser has published articles in this field and handled several cases. There are a number of items that need to be considered prior to any legal action. Who maintains the elevator? Is it the building owner or a separate contractor? It will be important to examine the maintenance contract. Does the contract speak to regular inspections and maintenance in the building? Is the elevator or escalator required to be kept in “good, working order”? With each elevator unit, there will be documentation recorded in the mechanical room where the works of the elevator are housed. That “log” should interface with documentation that may be subpoenaed or requested under the Freedom of Information Act from the inspecting authority through the State as well as documentation in the form of hourly “tickets” or invoices that relate to work performed on the elevator by maintenance staff. In some cases the cause of an elevator or escalator injury may be from a design, installation or equipment flaw. Was the elevator or escalator actually engineered correctly? When it was constructed inside the building, did the contractor follow the engineer’s specifications? Were the parts specified in the contract installed correctly? All of these documents can be subpoenaed to determine fault. The bottom line is that in order to be successful in an elevator or escalator accident case, you need someone who has the technical background to understand all of the nuances involved. Hohauser Kuchon is the authority in elevator and escalator accident law. 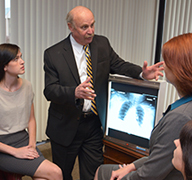 Don’t just settle for any Personal Injury Lawyer. Demand the best. 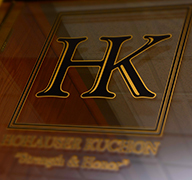 Contact Hohauser Kuchon today. Read our detailed article about Elevator Transportation based on our case experience.